Pictures: CSI: LA? 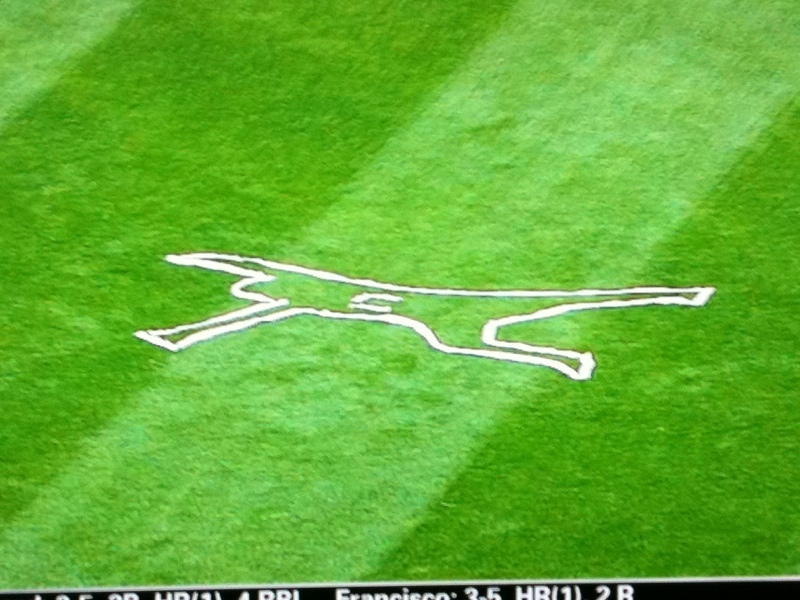 San Francisco Giants Aubrey Huff Chalk Outline in Dodger Stadium Outfield! San Francisco Giants first basement turned right fielder Aubrey Huff has a great sense of humor. Huff made a “chest plant” while making a diving catch to rob Tony Gwynn Jr. of a hit in the bottom of the 7th with a couple of men on during Saturday game against hated-rivals Los Angeles Dodgers. Huff moved to right field this season after Brandon Belt took over first base for the Giants. 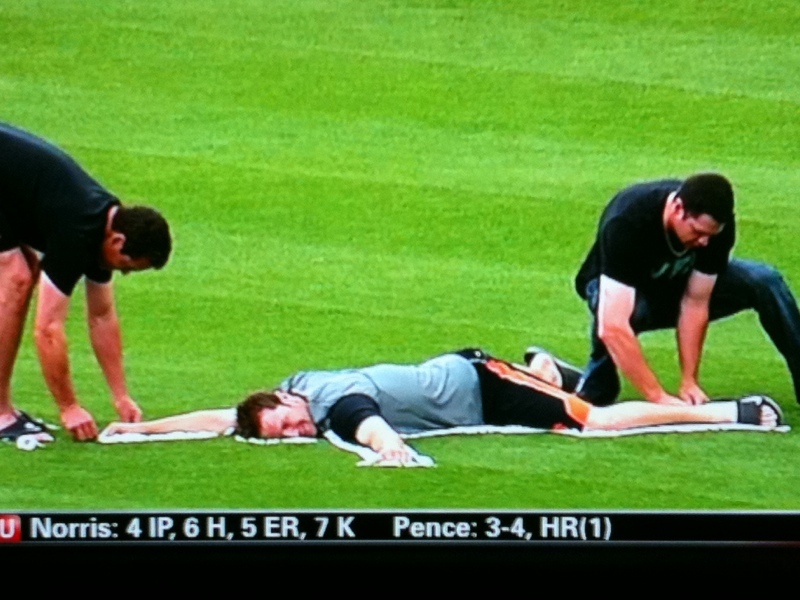 Pat Burrell, Huff’s buddy, used white athletic tape to simulate a chalk outline of his friend’s sprawled form on the Dodger Stadium outfield grass, as if he had been a crime victim (complete with the #17 in the middle outline). Pitcher Dan Runzler served as Huff’s body double. It remained there even while the Dodgers took batting practice before Sunday night’s game. This entry was posted in LOL, Los Angeles Dodgers, San Francisco Giants, Stadiums and tagged Aubrey Huff, Baseball, Dodger Stadium, Los Angeles Dodgers, Major League Baseball, MLB, San Francisco Giants, Sports, Tony Gwynn Jr. Bookmark the permalink.